Three thousand names! The reading of the names of victims of 9/11 was the centerpiece of the commemoration on Sunday,9/11/11, ten years after that awful moment in our lives, a moment that changed the face of the entire world. Those who watched their TV screens were afforded the added visual dimension of a photograph and an age, which added a greater sense of reality to the public recitation. So many of the names were mispronounced; as a matter of fact, if called upon to write out those names, most of us would not know how! The scope of ethnic variety and national diversity was staggering! The World Trade Center-a microcosm of NYC and the USA, housed a veritable united nations of peoples and ethnic groups. As one name followed the other, it became clear to me,on an emotional level, how unique and extraordinary America is in this world. No country anywhere, perhaps with the exception of our neighbor to the north, Canada, can claim a population of such diversity and difference. Given our population numbers-300 million-the American reality is sui generis on this planet. How daunting a task, I thought, to achieve some consensus and mutuality, a sense of unity and shared values, so necessary to govern successfully, from so many disparate groups. And yet, in face of this challenge, the greatness of America lies precisely in its extraordinary amalgam of people, all of whom are bound together by the dream of personal and political freedom. Ethnic, cultural or religious background mattered little to those who committed this evil act-no distinctions were made by the terrorists-they were attacking Americans and it was the American who was their enemy. Perhaps one of the reasons for such murderous hatred is deeply embedded in the psyche of so many people who simply cannot abide by the notion of human freedom that allows each one of us the right to be ourselves. How impossible it seems for nations and groups, religions and ideologies to tolerate, with understanding and respect, the commitments and ways of life of others. If anything makes America singular and a model to be emulated it is not its military power, wealth or technological dominance. It is its internal cultural , intellectual, social and spiritual structures that embrace us in the canopy of freedom, tolerance and an abiding respect for difference and diversity. This is America's strength and uniqueness; for this we all can be profoundly grateful. 9/11 is a powerful and painful reminder of the American dream and promise to this world. Let us hope that we can achieve our dream without repeated nightmares of terrorism and murder. This segment of the Torah ostensibly contains one of the most obvious expressions of the doctrine of reward and punishment in Judaism.The modern mind is skeptical about the accuracy of this doctrine if understood literally. How do we resolve the dilemma of the righteous suffering and those who don't follow God's laws, prospering? Some gain clarity from the view of faith and the assumption that all outcomes are unknown by the mortal mind .Others see this as a collective assurance that when a community lives morally it will prosper even though some individuals may be subject to suffering in the process. Or we can understand these passages as reflecting an historic time when Israel was in its childhood and like children they needed this type of conditional reasoning and understanding in order to withstand the possibilities of straying from God's path. 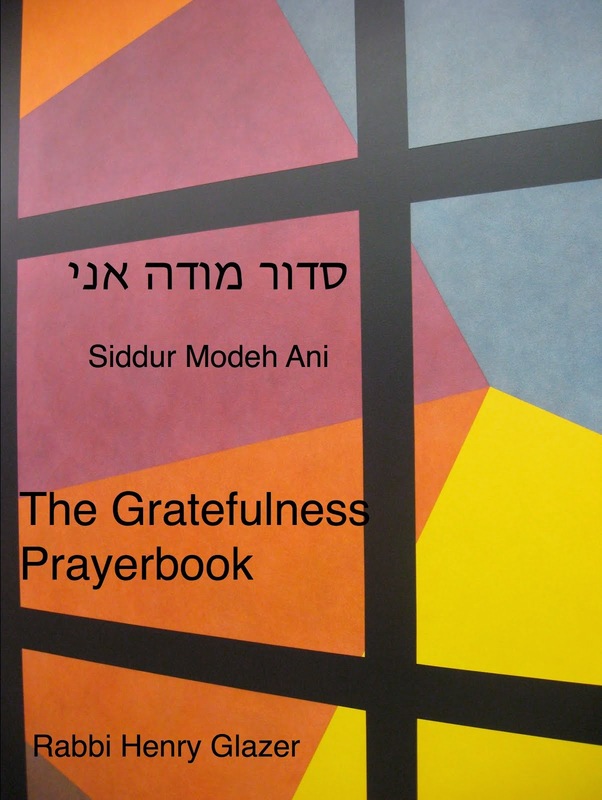 From a spiritual-psychological point of view I offer another way of understanding this passage.Security comes from within.The Torah suggests that if we have the capacity to “eat our bread” -לשבע- to our fill, with an ability to feel grateful for what we have, this grateful heart will result in the feeling of dwelling securely in the peacefulness and fullness of mind and heart pulsating with thankfulness for out gift of food. Gratitude engenders faith and the assurance that one can dwell securely and safely without fears of not having and without feelings of debilitating insecurity and anxiety about the future.Sensing deeply the gift of all of life, we can take the strength and faith of living our lives anchored in a trust in the world's goodness and the compassion of a God whose gifts we are bidden to enjoy. A well-known question that emerges from this opening sentence is found in Rashi who asks: Ma inyan shemittah etzel har Sinai? Why is Sinai referred to in the setting of the Sabbatical laws and the rules governing the Jubilee year? I spite of his answer that establishes the Sinaitic authority for all the laws of the Torah-that is, just as these laws were enunciated divinely, likewise all laws, in their general presentations and in their minutiae are to be considered as divine in origin, I prefer to find in this juxtaposition a different meaning and interpretation. The first question to be raised is related to the content of these laws, their spiritual purpose. The injunction to allow the land to lie fallow each seventh year and the wider embrace of release in the Jubilee year, namely the release of slaves and the remission of all debts, suggest the overriding principle that in the realm of human affairs absolute ownership of goods and property is a fiction; we are only temporary owners of what we have whether it be land or indentured servants. The earth is the Lord’s and at best our possessions are objects of lease. Ultimately, even our lives do not belong to us. In other words life is impermanent and temporary. The question remains: does anything survive death and the passage of time? Is there not something that somehow lasts, that out lives the cycles of time? Fields return, debts are cancelled; even belongings are worth only the period of their lease, not the intrinsic value of the object itself. What about the soul, the higher self, the spirit, the image of God, the divine refraction embedded in the human personality? Does that not belong to us eternally? Our tradition maintains quite firmly that such a reality is spiritually unmistakable. Thus the text places the reality of impermanence in the setting of that which represents the transcendent, the godly, the moment of a shofar’s sound that only grows louder and stronger-Mount Sinai, a moment of eternity. Things are shared; they perish. The individual human spirit somehow always occupies a mountain top. Sinai is the symbol of the eternity and indestructibility of the human soul; of a uniqueness that is shaped out of the lives of ordinary human beings who leave behind a legacy of their spirits to others. From the “scattering” of so many laws, both ethical and ritual, there have been attempts to impose some philosophical or conceptual order on the diversity of content in our chapter. Some connections appear natural while others are somewhat strained. I would like to share one attempted association that on the surface don't appear to have much connection or equivalency; as a matter of fact , traditional commentators view the two verses as suggesting a situation in which conflict arises and difficult choices must be made. “A man must fear his mother and his father and observe My sabbaths.”(Lev. 19:3) According to the Halachik interpretation of these passages-Rashi et al-should an individual be commanded by one's parent(s) to violate the Sabbath , the Torah makes it clear that he must disobey his parents (a transgression of the fifth commandment) and not violate the Sabbath(the fourth commandment) related to the higher authority of God. I see in these passages a different spiritual insight , one at the heart of Torah itself.I believe that both verses contain an underlining principle that is reinforced and supported by both passages. In the verse read about “fearing” mother and father, the Hebrew-”tee-ra-oo”-תיראו- is usually translated as “you shall fear”-”yaroh”-ירא- meaning fear. However, I would prefer to translate the word-”tee-ra-ooh” as you should be in awe of.While fear can be viewed as a powerful pedagogical tool in moral education, its benefits are short-lived and often misguided and counter productive. Positive behavior can indeed be arrived at out of fear; indeed much of our legal system is founded upon the fear of penalty and punishment. The younger child naturally behaves at home because of the fear of parents, a fear that continues to influence the behavior of our young, up to a certain point. But in the total scheme of things spiritual, fear fuels suspicion, anger and antagonism. Fear divides us, creating distance and distrust. Whether in our relationships to our parents or to God, few would disagree that the higher form of relationship is that founded not on fear as much as one based on reverence-awe and love. How does one arrive at the reverence for parents? 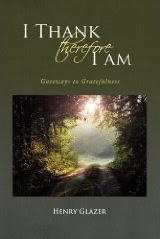 I suggest that the awareness of the gift of life and its care and cultivation provided by parents allows one to relate to one's parent from the perspective of reverential and loving gratitude.as partners with God in the act of creation and continued nurturance, the child is called upon to experience gratitude and thanksgiving in the parental relationship; a crucial component of the child's love for her parent is that of gratitude. 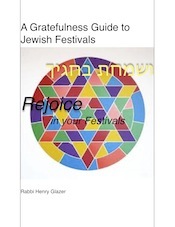 From gratitude to parents the Torah then naturally proceeds to bring our attention to the need for gratitude in relation to the world that is a gift to all of us, a gift which is acknowledged and celebrated each Shabbat -”Remember the Sabbath day- for in six days He created the universe and rested on the seventh day.”Simply put, Shabbat is essentially a day of gratefulness. Therefore, the injunction to bein awe of one's parents and to observe the Sabbath have nothing to do with conflict; rather they complement and reinforce each other in the deepening capacity of the human heart to cultivate gratefulness in one's life and in this way arrive at stage of greater holiness and come closer to God the Source of all holiness. Once again the reader is challenged to understand Torah content that is obscure, obsolete and entirely irrelevant to our time.How does one make sense of the ritual involving a metzora-מצורע- one who has contracted an undefined skin disease-some say leprosy-and apply it to the moral issues of today? Clearly, this kind of material demands an imaginative response which was forthcoming by our Sages who understood the afflicted metzora as one who had committed the sin of slander.They based this association on a word play derived from the word-metzora-מצורע.What emerges from this activity is the phrase “motzi shem ra”-מוציא שם רע—one who slanders, literally, one who brings out a bad name.Thus, the Rabbis conclude that this esoteric disease is the result of the abuse of others by way of language or speech. I would like to extend this “playful” interpretation into a different area of spiritual concern.If we change the vocaliztion of the phrase-motzi shem ra- מוציא שם רע- -we can read the phrase in the following way-motzei sham ra-מוצא שם רע- meaning “finding there the bad.” Instead of shem-name, we can read the consonants as sham-there. Rather than evil in a moralistic way, ra can be understood as that which is negative,undesirable, unpleasant. In other words, the modern metzora is the one who encounters all places and things in life with a perspective that is negative, a view of things as only undesirable, unsatisfactory, problematic . Life for the “metzora”is a source of sorrow and sadness, not a reason for joy and gratitude. To see life through the lens of unrelenting dissatisfaction and suffering is to create a terribly painful situation of social distance, cutting oneself off from the orbit of human interaction and experience. Like the Biblical metzora-”leper”- the contemporary complainer finds himself isolated, even quarantined. Such constant unhappiness and ingratitude also suggests an attitude of thanklessness toward the Source of all creation, finding fault rather than favor with the world around him. 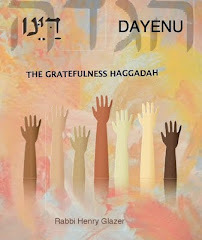 The following is a personal rendition of Dayenu that I inadvertently omitted from the Gratefulness Haggadah. I think that its simplicity and universality can add to the meaning of your Passover Seders. Simply alive and not dead. We thank God for our share. What I always find remarkable in my friend's thinking and work is his adamant faith in the beauty and sacredness of all things. Most of us struggle to find goodness in the manifestations of that which we consider evil; yet my friend Abraham recognizes in the photograph and the poem , an expression of ”darkness (which) holds stars in her bossom and is the womb where life and creativity incubate.” To this principle and teaching he has dedicated his life. 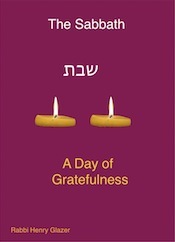 I am filled with gratitude for his gift; it is a wonderful Midrash on the Torah reading of this Shabbat. Perhaps as an exercise by which to bring light into each Shabbat, we could ask ourselves and our loved ones- what has brought light into your life this past week? What are you grateful for, and in articulating a response , we can illuminate our hearts by simply dipping our “toes” into the light.